Home Maintenance Service in Gibraltar. Carpentry, plumbing, painting etc. Let us do all those jobs that you never find time to do. ALL YOUR HOME MAINTENANCE JOBS FOR A FLAT RATE OF £150 A YEAR. We have a team of experts, and a large number of homes subscribed to the service, so we can afford to keep our fees very low, and still offer an unrivalled service. Get all those small jobs out of the way and keep everything up to standard, this will save you a lot of money and stress in the long run. ALL THIS FOR ONLY £150. Monday to Friday are FREE. Up to 3 hours per call. Ideal Kitchen offer a quality and professional service to design and fit your new kitchen. Our expert technical team will make your dream a reality. We have all types of materials and finishes, from doors to surfaces of the highest quality and great prices. 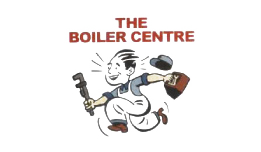 We understand how inconvenient and frustrating it can be when a boiler breaks down, and therefore we endeavour to react on an urgent basis to ensure that a replacement boiler is fitted within a same day turn around.